This week I visited the Frankfurt Music Fair, the world’s leading trade fair for the world of music. On one floor it featured a special vintage guitar exhibition where you could see lots of wonderful guitars, even most valuable guitars like Fenders and Gibsons from the fifties. I took many pictures of all kind of guitars, but with this blog post I would like to feature those which are similar to some of Mark’s guitars. 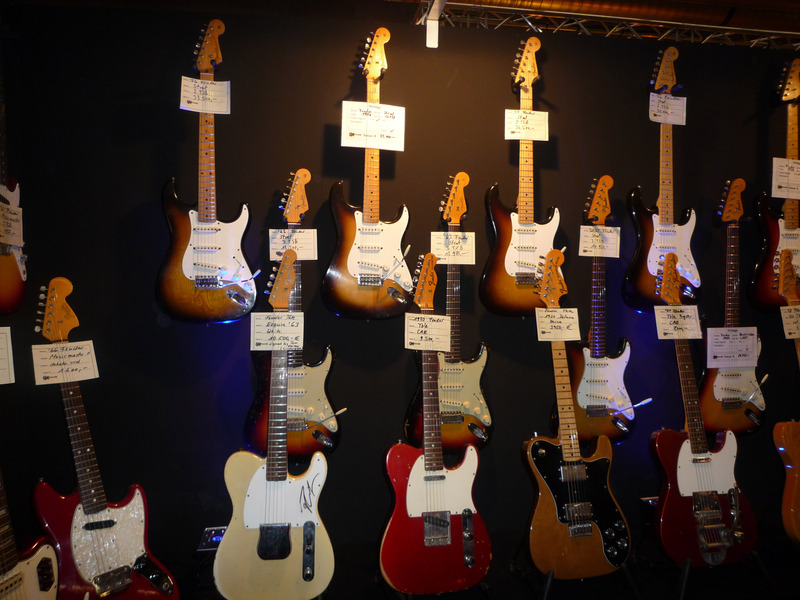 Since many of the presented guitars were labelled with a price tag, the pictures will give you a good idea about the value of some of Mark’s guitars (if these would not be owned by him, as this alone surely multiplies their value). The Telecaster Custom in three-tone sunburst is really a beauty. It is similar to Mark’s, which is from 1966. While the normal Telecaster had an ash body, Customs were made of alder (the standard wood for the Stratocaster at that time). There is a binding on both the front and the back side of the body. 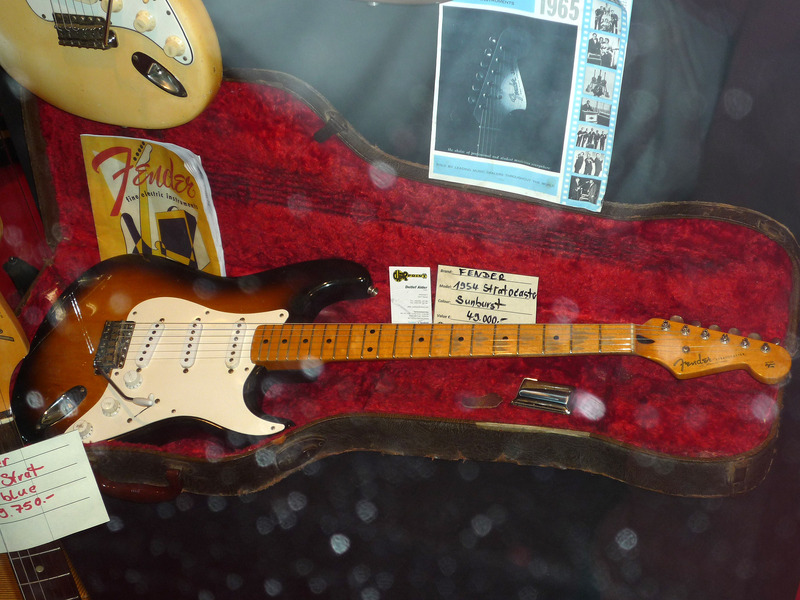 Next we have a 1962 Strat, a guitar with the same specs as Mark’s #68354 Strat, his first red Strat on which he composed the final version of Sultans of Swing. While his was a bare wood finish when he got it (and was later painted red of course), this one is really light and has the standard sunburst finish of that time. 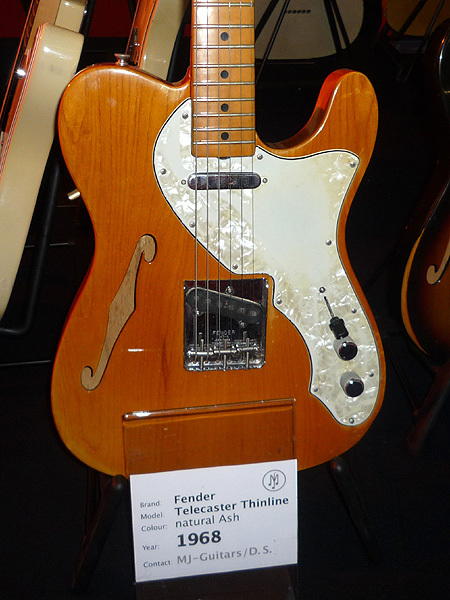 These Telecaster Thinlines were produced only in the late 60ies (later one had a humbucker pickup in the neck position). 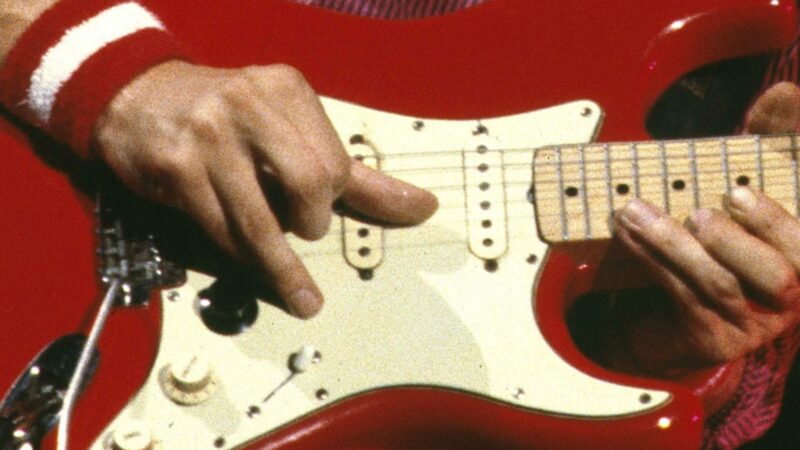 Mark played a black Thinline with the original Dire Straits setup on Water of Love , tuned to open A. Mark’s black finish was not original, also the f holes were closed before the paint job. Here is what they normally look like with their typical natural finish and the white pearloid pickguards (I guess Mark’s pickguard was also simply oversprayed with black). 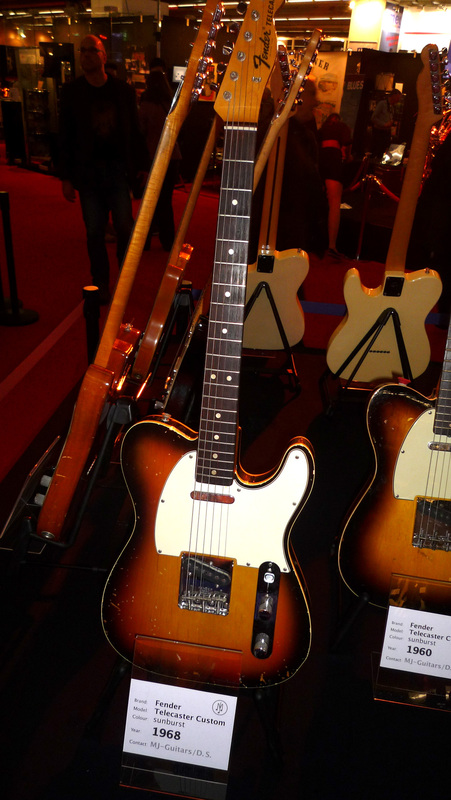 The Thinline was available with an ash and a mahogany body, see the pictures (we don’t know what Mark’s was). Here we are starting with the “behind glass” guitars (thus the reflections in the picture). 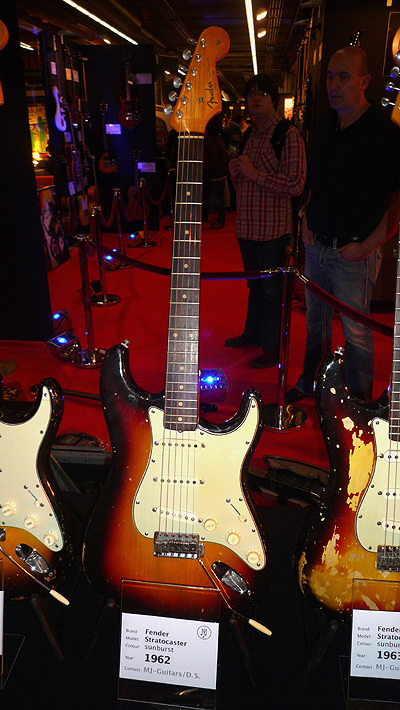 With a price tag of about 49,000 Euros the first-year-of-production Strats are – together with custom colour Strats from the 50ies – the most expensive Strats. This one is very similar to Mark’s 1954. A Telecaster very similar to Mark’s 1954 Telecaster. 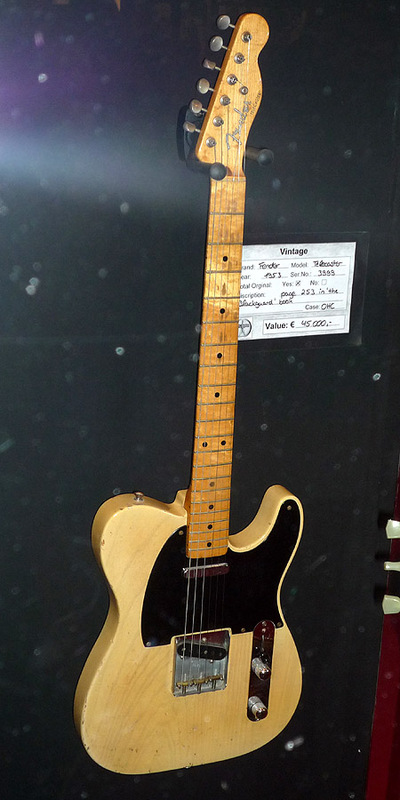 The finish in these years looks a bit different than the typical butterscotch of the Tele at that time. In fact the finish was probably the same but the kind of clear nitro overcoat in these years became less yellow than on the butterscotch Teles. 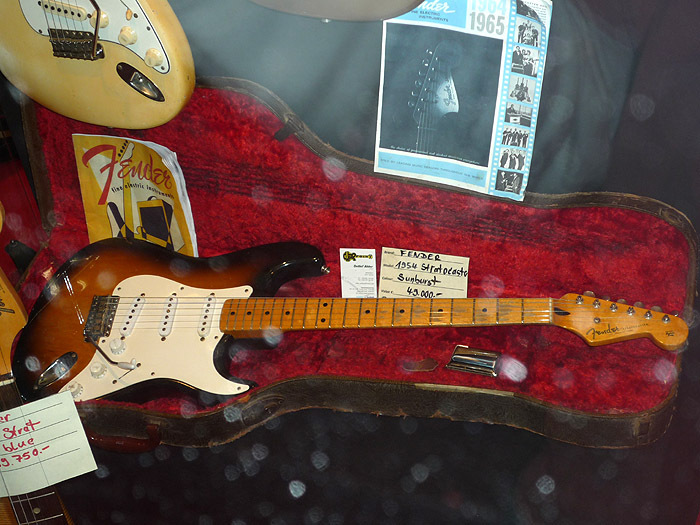 The price tag of this guitar reads 45,000 Euros. 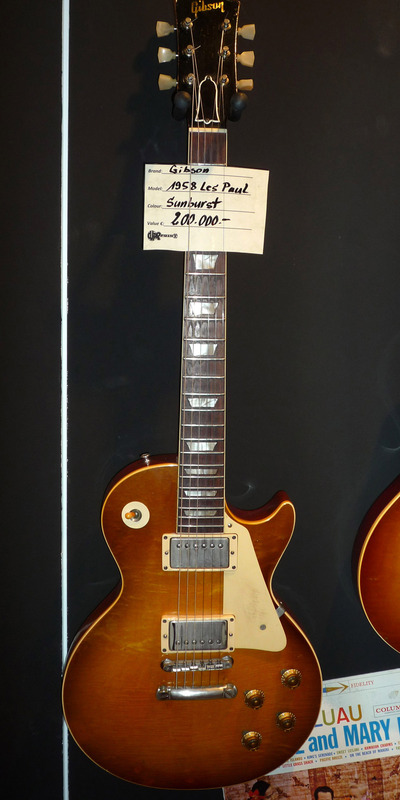 An original 1958 Les Paul Standard – 200,000 Euros, very similar to Mark’s. So many beautiful guitars, so little time… 🙂 looks like a great show Ingo. You’re so awesome! I don’t beevlie I’ve truly read through a single thing like this before. So nice to discover another person with some original thoughts on this subject matter. Really.. thanks for starting this up. 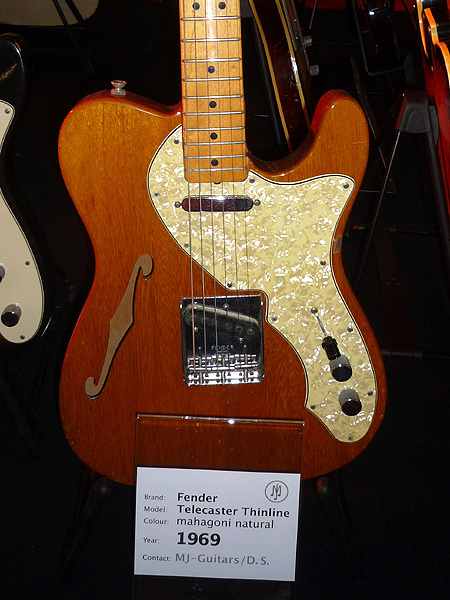 This web site Fender Masterbuilt Dennis Galuszka HB Tele (Gently Pre-Owned is something that is required on the internet, someone with a little originality!